Parisian tailors tend to be located on the first floor of big mansion blocks. Savile Row tailors are more likely to be on the ground floor of a terraced house, with workrooms underneath. Though certainly a generalisation, this is not an empty comparison. It means the French have more space. Cifonelli, on Rue Marbeuf, has a small ready-to-wear shop on the ground floor. But upstairs is an expansive atrium, three large walls of cloth bolts, fitting cubicles and no fewer than seven different tailoring rooms. It is a maze of intense, bright spaces, filled with tailors – both young and old – surrounded by fittings and paper patterns. The last two are reached via the kitchen. Two tailors and an old cutter have just been taken on and the cutting rooms, across the hall, are being remodelled to fit in an extra board. Accommodating new staff, particularly those that have worked in their own small space for several years, is never easy. But everyone seems to find their place in this dense little warren. Cifonelli is certainly the biggest of the Parisian tailors, but it is not unusual. Camps de Luca, Smalto and Stark are similarly housed, their names hung proudly right across the outside of their blocks. This space and size can give a tailor greater identity. But there is one more thing about Cifonelli that gives it a unique sense of purpose: all the tailors are employees. Most English tailors, and some French, pay their staff per item. While they have to prioritise their hosts’ work, they are strictly speaking freelance. Having employees doesn’t make tailors any easier to manage. It just means you have to worry about slacking rather than quality. But for Cifonelli, it seems to have enabled them to innovate while retaining a definite identity. Cousins Lorenzo and Massimo Cifonelli took over the running of the business from their uncle/father in 1999. Although founded in Rome in 1880, Cifonelli expanded to Paris in 1926 and quickly found a local following. By 1990, there was only one cutter left in Rome who quickly retired, so it was closed down. Paris, however, has expanded rapidly. Which has been one route to innovation. As tailors and cutters joined the firm, they brought their own ideas of construction, organisation and style. They weren’t allowed to change anything unilaterally, but Lorenzo in particular was – still is – irrepressibly keen to learn and reform. He is a restless creative hub. One of the early changes was in the way orders are managed. Lorenzo instituted a system whereby every basted suit is double checked before it goes for a fitting. All the parts are measured and then checked against the measurements that were taken when the order was made. Even those measurements themselves are unusual – few tailors measure a customer afresh when he comes in for a new suit. Lorenzo also makes sure paper patterns are fastidiously altered with each new garment. Many tailors, despite their claims, do not do this. More than one of the great Savile Row names gets my basted fitting wrong in the same way every time. The right sleeve is always that half an inch too long, the shoulders a little too square. It’s a waste of a fitting. Other innovations vary in size. Some are small: measuring the sleeve length with a pin in the shoulder, which slots onto the hole at the end of the tape measure. Much more accurate. Others are large: tweaking the Cifonelli style as the cousins gradually exert their tastes and personality. The Cifonelli shape was always distinct, with a small chest and lightly padded shoulders, but a large and often roped sleevehead. Lorenzo’s grandfather, who studied in London, called it a blend of the best Italian, French and English techniques. It certainly creates a very flattering, bold silhouette. But Lorenzo has taken this and sprinted with it. The roping on the shoulder, for instance, varies considerably by cloth and customer. A conservative business suit gains personality with just a touch of wadding at the top of the sleeve. 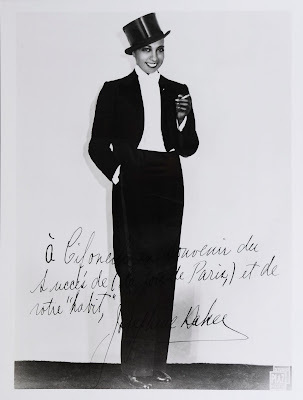 A dandyish overcoat, on the other hand, can have exaggerated shoulders, a tiny waist and a sweeping skirt, creating a garment suited to those that favour dramatic entrances (and stormy exits). Then there are the little details. In recent years Lorenzo’s experiments seemed to have centred around touches of leather or suede – on the underside of the collar, the interior of flared cuffs, the top of pockets or as a fastening on the breast pocket. But they have also taken in subtler details, like the deliberate overlap of the pleat down the back of a belted Norfolk jacket. Or the diagonal hip pockets finished with beautifully hand-sewn triangles at either end. Frog fastenings, bellows pockets, elbow patches: as the models here illustrate, Lorenzo has unique takes on them all. And that’s without getting to the untreated wool he’s peddling for winter (see cream-coloured jacket opposite). But none of this is to ignore the skills of pure, plain tailoring. Indeed, a description of my first bespoke order from Cifonelli probably serves to illustrate all of the qualities listed so far. It was in a green Harris tweed, which Lorenzo was wearing as a suit when I first met him. Not being quite as adventurous, I limited it to a jacket. While some of his designs aren’t to my taste, a survey unearthed at least four things I did like: a five-button front that fastens to the chin, suede undercollar and undercuff, those diagonal pockets, and suede fastening on the outbreast pocket. Because I was only in Paris for the day, Lorenzo dug up a few lengths of flannel and created a basted fitting within the hour. With just this to go on, he sent me the finished jacket a month later. When we met up for this interview, I brought the jacket along so he could judge the fit: it was perfect. In part due to his rigorous measuring and monitoring, we didn’t have to change a thing. Last of all, the tailoring. I have yet to meet a tailor who isn’t awed by the attention to detail on this jacket. 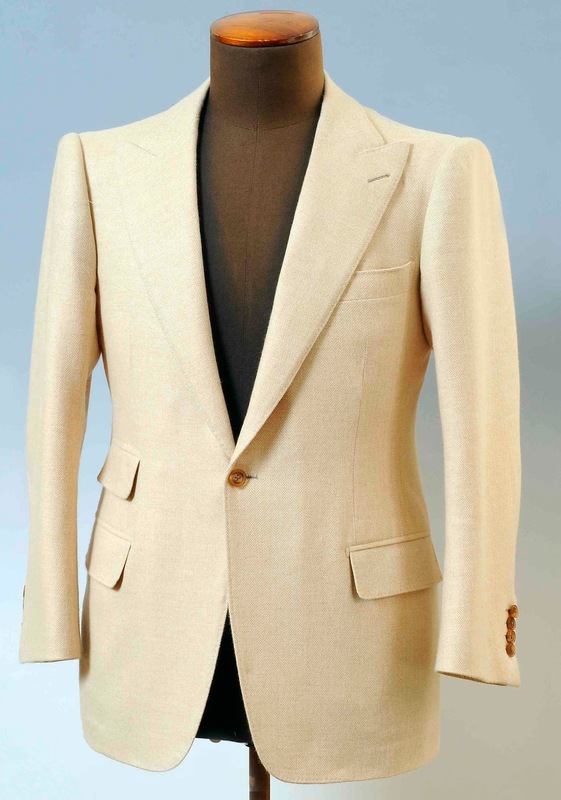 The buttonholes on the lapel and cuffs are beautifully finished on both sides, as either could be shown outwards – even on the suede cuff, which requires a special, sharpened needle. The hand stitching around the lining is incredibly fine, and is even used to join the panels of the lining. In fact, that join is finished with a signature C for Cifonelli in the small of the back. Such workmanship, creativity and character inevitably warms the blood. So I hope you will forgive such obviously partial praise. Just take a wander around the first floor of 31 Rue Marbeuf next time you are in Paris – round the seven rooms, past the sink and through the sound of thirty tailors talking – and see it for yourself. You can follow the discussion on Cifonelli – Parisian powerhouse by entering your email address in the box below. You will then receive an email every time a new comment is added. These will also contain a link to a page where you can stop the alerts, and remove all of your related data from the site. Is there a photo to show the stitching around the lining and joining the lining panels? I’d like to see it. From the description it looks like the praise for Cifonelli is well-deserved. The tweed jacket with suede details (which I think you posted here some months back) looked a masterpiece. Are british tailors lazy or why don’t the apparently not update thier patterns? We are talking big names here. I think that it would be wonderful to get some comments from the business itself. Maybe to take a look on the daily routines. I would love to read this here on your blog. There is no tailor anywhere who is better. Karl Lagerfeld has said you can spot a Cifonelli suit from a block away and he is correct. 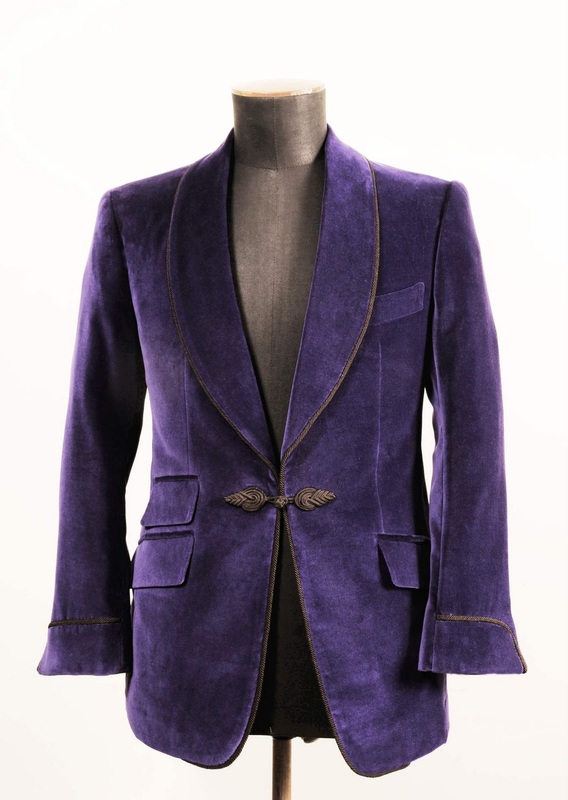 Moreover their finishing is far above the level of even the best tailors in London. There are tailors who charge significantly more than Cifonelli but the latter is tops, period. Ready made suits by Kiton cost more and are not in the same class by any means. Indeed, and many more famous names that shall remain nameless. Have a look around the site to see examples of things that Lorenzo has made me since this article. I think that the purple suede jacket is simply brilliant, a masterpiece. Lately, I have wanted to burn every Ready-to-Wear suit I have in my collection. After seeing real craftsmanship, I realize how “Wanting,” they are as fine suits. Let’s get one thing out of the way: Cifonelli is up there with the best of them. But would you explain the difference in price between Parisian/French tailors and London/British tailors? Is it a question of supply and demand? There are fewer than twenty master tailors left in the whole of France. And the market for suits, because of the culture of scruffiness, is much smaller than the UK. Larger overheads, perhaps? A flashier clientele? I realise my question touches upon the unspeakably vulgar subject of money, but suits don’t grow on trees, what? There is a substantial difference in terms of the amount of handwork involved – which does not necessarily explain the price difference, but is one clear factor. Also more innovation and design, whether you like it or not. Harder, really, to explain the price difference between English tailors offering the same product. Interesting observation about innovation and design. I suppose the more fashion-forward houses will always have higher overheads. But then you get someone like Camille Badel with prices starting at 5000 euros, and it’s hard to explain it in terms of innovation and design. Not that I begrudge him a single penny. He’s the doyen of French tailors. One thing you notice about France is that its sartorial market is far less discerning than the UK’s. People will spend a fortune on clothes that look horrible and fit badly.